Argentinian guitarist takes stock to see the world as a whole and his place in it. 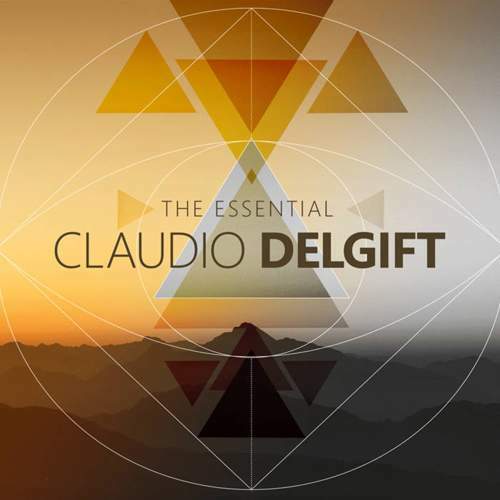 Having released seven albums in six years, Claudio Delgift can’t be accused of laziness, so “The Essential” – spanning all of his records – is bursting with great ideas. There’s a lot to enjoy on this compilation whose pieces marry expansive prog ideas to genres that seem to be less inclusive yet sit well within art-rock context; unfortunately, those ideas are implemented not without issues which mar the impression the artist has been trying to make up to now. With a country undercurrent leading into “Tricapsule” that feels translucent in its romantic unfurling, the expectancy bar is set high – only to become an obstacle later on, once the listener will have realized: most of the intros here last longer than a minute, in a rather templated manner, to an extent where complex, albeit alluring, instrumental pieces entail the waiting for the voice to appear. The limitations of Claudio’s vocals – so obvious on “Vortex” which one would incredulously rewind to check if Delgift doesn’t stray out of tune – blur the melodies as well, ‘Ease And Comfort In The Silence Of Hearts Entwined” coming across almost as pointless as the piece’s title suggests. He’s a talented guitar-slinger, though, laying down blistering filigree on the likes of “To Think, To Say, To Do” – influenced by YES but meticulously layered to reflect Claudio’s own personality, and “The World As A Whole” is just a little short of brilliant despite its epic scale, but the brief acoustic beauty of “Bonds” hits much harder thanks to its simple sincerity. So while “A Promise Of Light And Wonder” has a nice ring to both the title and tune, Claudio should work more on delivering on commitments like this.